Booksmart is a modern, honest and inclusive film about two young girls and their quest for high school adventure. Entertainment 5 April, 2019 . Written by Alanna France. 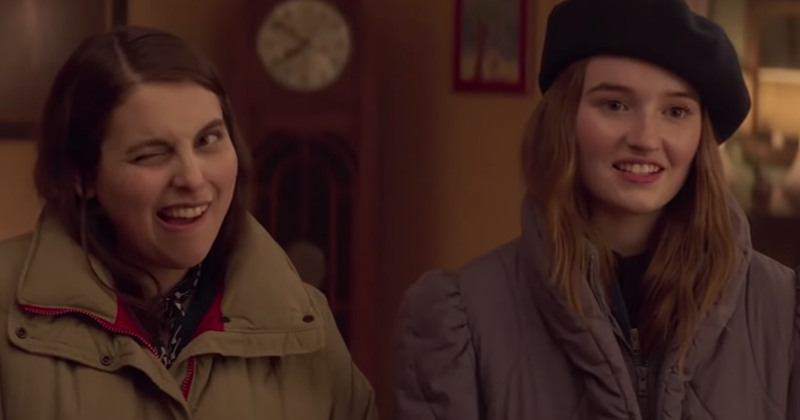 Booksmart begins when best friends Amy and Molly realise that they’ve spent all of high school becoming the academic superstars of their school and none of it going to high school parties or doing anything slightly rebellious. Booksmart is receiving rave reviews from everyone who has seen it. Everyone on Twitter is calling it the female Superbad, which is quite the compliment considering how well known and successful Superbad was. John Defore from The Hollywood Reporter describes it as “Fantastic…an epic night of bad behaviour”. IndieWire says the film is “Hilarious. A riotous celebration of sisterhood”. The films cast has all our favourites! Beanie Feldstein and Kaitlyn Deverstar play Amy and Molly, the two inseparable best friends in the film. Beanie is best known for her work as Julie in Ladybird and Kaitlyn is known for her role in popular tv show Last Man Standing. Lisa Kudrow from the iconic tv show Friends also makes an appearance, alongside comedian Jason Sudekis. Billie Catherine Lourd, Skyler Gisondo and Diane Silvers are also featuring in this film. This witty comedy is Olivia Wilde’s directorial debut. As well as being a brilliant director, Olivia is also a very successful actress, model and activist. Olivia supports many important movements such as Times Up and Planned Parenthood. The film’s premiere was on March 10, 2019, at South by Southwest in Texas. Booksmart is set for general release in Ireland on May 24, 2019. Don’t miss out on this incredible film! 5 April, 2019 . Written by Alanna France.